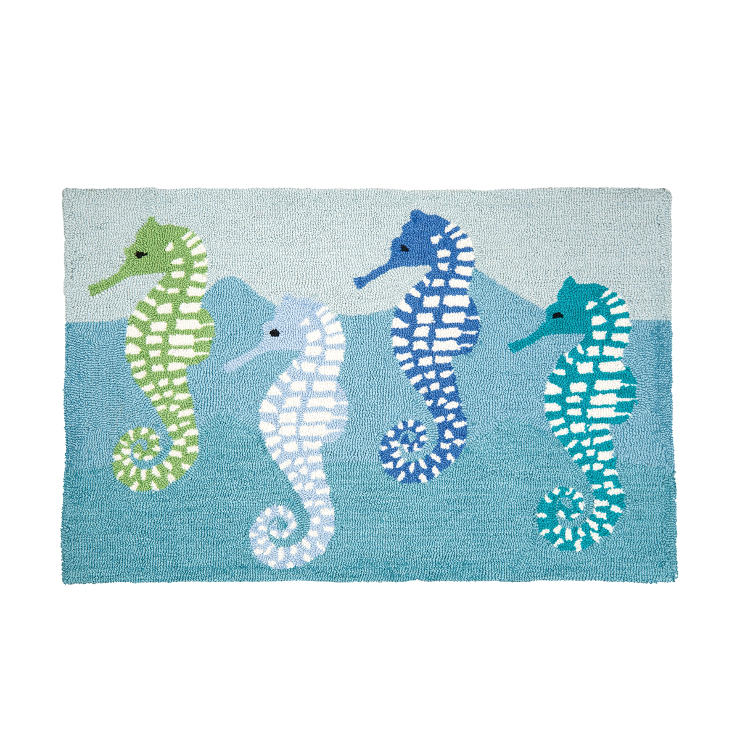 The Seahorse Rug is not just for your vacation home.This coastal theme rug features aseahorses moving to the ocean waves. This is a bright and exciting accent rug. The colors and design are perfect for a beach or tropical decor. 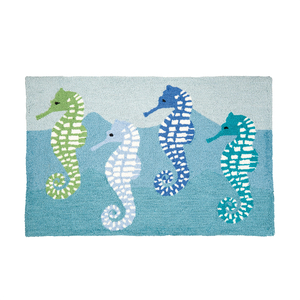 Manufacturer: C & F Enterprises, Inc.
Liora Manne Capri Turtle Indoor/Outdoor Rug - Blue, 20" By 30"